“Nast, born a Catholic in Bavaria and raised Catholic in a German neighborhood in New York City, converted to the Protestant faith as an adult.” Fischer speculates that Nast’s marriage to Sarah (Sallie) Edwards was an entry into old world Yankee culture and embraced it (29-30). I decided to do some of my own checking, and indeed, found Nast was baptized in Sankt Maria (St. Mary’s) Roman Catholic Church in Landau, Germany. To view the German family archives site click here. Fischer also credits Charles Press and Draper Hill for also acknowledging Nast’s Catholic roots. Most reporting on this has been lazy, with researchers repeating Nast’s Protestantism while overlooking his original family faith and traditions. But if we are to fully understand Nast’s anti-Catholic drawings, his religious roots should not be overlooked, for this was the faith of his parents. 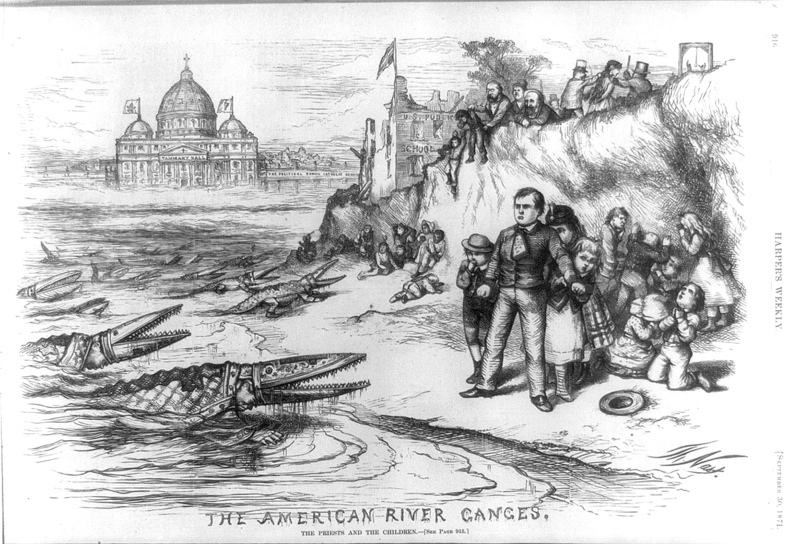 In nineteenth century America there were many reasons for Catholics to convert. Love may certainly have been one of the reasons. In my own family history, the reverse seems to have been true. My paternal great grandparents, Bavarian Lutherans, were very upset that their daughter (my grandmother) fell in love with, and at the turn of the twentieth century, decided to marry an Irish Catholic and convert to Catholicism. Without precisely knowing when Nast converted, likely, there was more to it than just amoré. Nast emigrated to New York City in 1846, about the same time the potato crop was failing in Ireland. The Irish had been coming to America long before then – but most Irish emigrants in the seventeenth and eighteenth centuries (about 70 percent) were Presbyterian (Scots or Ulster Irish) and 30 percent percentage were were other Protestants, such as Anglicans or Dissenters (Baptists or Quakers, William Penn being the most famous of the latter). Kerby Miller’s research indicates Roman Catholics comprised a small minority of Irish emigres, and there were social, cultural and economic pressures for pre-Revolutionary Catholic emigrants to convert to Protestantism, typically to the very similar Episcopalian faith. As the American colonies were still very much under the influence of England, Catholics were afforded few property rights, an exception being Maryland and small parts of Pennsylvania. After the Revolution and the enactment of The Bill of Rights, Catholics in American could relax. After the Napoleonic Wars, Irish immigration to America picked up. From 1815 to 1840, a second wave of Catholics left Ireland for better opportunities. These Catholics, generally speaking, saw the writing on the wall as their native Ireland fell sway to British oppression. Increases in tithes and taxes and decreases in land ownership rights, particularly for Catholics, fueled their immigration to America, and also to Canada and Australia. Emigration to the latter two countries was encouraged by the British government who often underwrote the travel expenses. These pre-Famine Irish Catholics arrived in America with agrarian skills and a bit of money in their pockets, poor, but not destitute. This small distinction enabled them to move out of East Coast port cities toward opportunity in the American West (at that time east of the Mississippi), and to the South. They did not congregate in large cities as the Famine immigrants were forced to do. Whether they converted or not, Miller suggests this second wave of Irish immigrants, were for the most part, accepted into American mainstream, in part because population numbers did not make them conspicuous. They did not stand out or appear to have congregated in large enough numbers to be alarming to the Protestant status quo which still dominated in the expansive American West. This perception changed with the Great Famine and its aftermath. While historians like Kirby Miller estimate about a million Irish of mixed faith came over from 1815 to 1845, they did so over a 30-year span and spread out all over the country. During the Famine years of 1845-1855, one and a half million destitute and desperate Irish emigrated to the Northeast region of the U.S., usually New York City, and there they conspicuously remained. Almost entirely Roman Catholic, the third wave of new arrivals had no money, nowhere to go, and few relatives to claim them. The first impressions these Irish Catholics left upon the New York and Protestant status quo was anything but positive. Consequently, the terms “Irish” and “Catholic” became synonymous —absolutely interchangeable and derogatory in usage. As a result, Protestant Irish no longer self-identified as Irish, preferring to make the distinction as “Scots/Scotch Irish” or” Ulster Irish” and some affiliating as “Orangemen” in honor of William III of Orange who subdued Catholic James II at the Battle of the Boyne, or better yet, just plain American. They did not want their Protestant Irish ancestry associated with the slum Irish. The Germans immigrants who arrived before and around the same time as the Famine Irish, emigrated mostly for political reasons and left their homelands with money as well as useful skills — artisans with a trade which advanced their livelihood and living conditions in America. Although many nationalities and races were present at Five Points, the majority of skilled Germans lived in neighborhoods on the west side, in areas that are today known as Greenwich Village and Tribeca. His [Nast] early religious impressions were confusing. There were both Protestants and Catholics in Landau, and once at a Catholic church he saw two little girls hustled out rather roughly for repeating some Protestant prayers. This incident disturbed him deeply. He resented the treatment of these little girls. It may have marked the beginning of a bitterness which long after was to mature in those relentless attacks upon bigotry which won for him the detestation, if not the fear, of Pope and priest (6). A little later, by advice of his father he attended a German school though only for a brief period. He left when required to confess, regarding his sins as too many and too dark for the confidences of the priest’s box. A brief period at another German school followed, and a term at a Forty seventh Street academy, considered then very far uptown. It was all to no avail. (14-15). 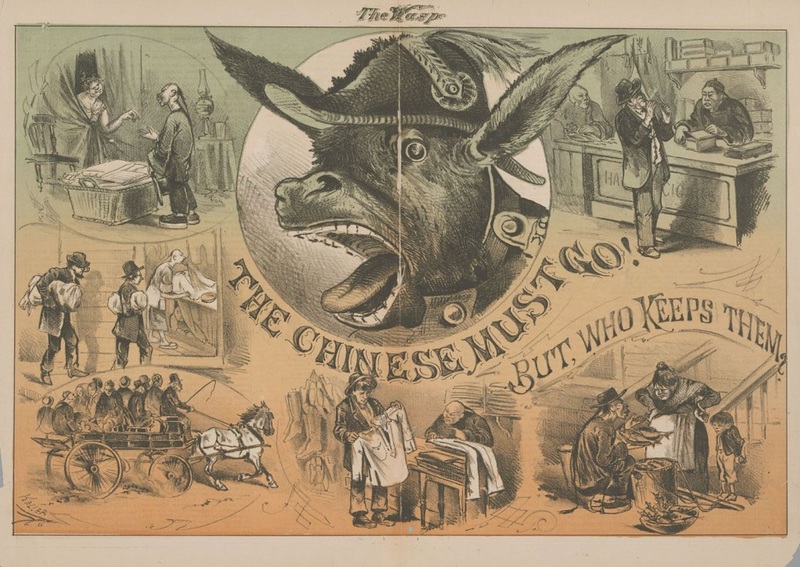 The mid-nineteenth century (1840-1860) saw a fervent rise in nativist sentiment and anti-Catholic rhetoric. 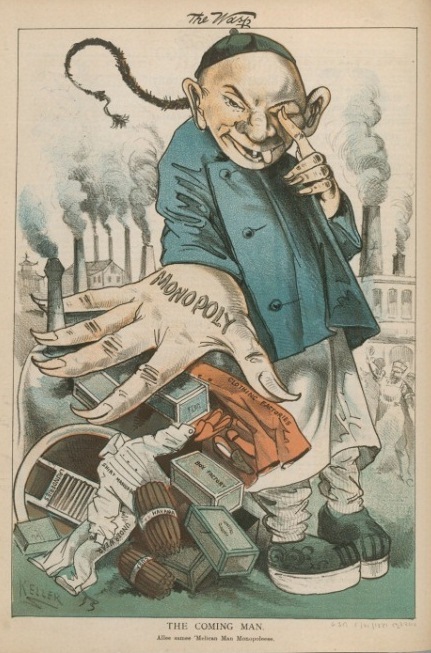 The Know-Nothings rose and gained political power by essentially feeding into a growing anti-foreign, anti-Catholic paranoia. “Catholic traditions continued to look dangerously un-American partly because they did not harmonize easily with the concept of individual freedom embedded in the national culture” (Higham 6). They also drew very strong political lines — and politics would play a huge part in defining the anti-Catholic sentiment. Aside from their strange faith and odd practices and preoccupation with politics in their native Ireland, Catholics were successfully recruited by and subsequently aligned with the Democratic Party, which among other things, was staunchly anti-abolitionist. The Catholic Church took the unpopular position of not wanting to rock boat in their new home, on the issue of slavery. The Catholic Church was very keen to earn headway and inflfuence in the U.S. They believed in the law of the land and that law included slavery. The official position of the church was to let slavery continue. Republicans, the Know Nothing factions among them, found the Catholic position on slavery reprehensible. During the Civil War, the Democratic Party affiliated and aligned with the Confederate South, and despite exceptions and Union loyalists, the majority of Irish and Catholics sympathized with Confederate side. 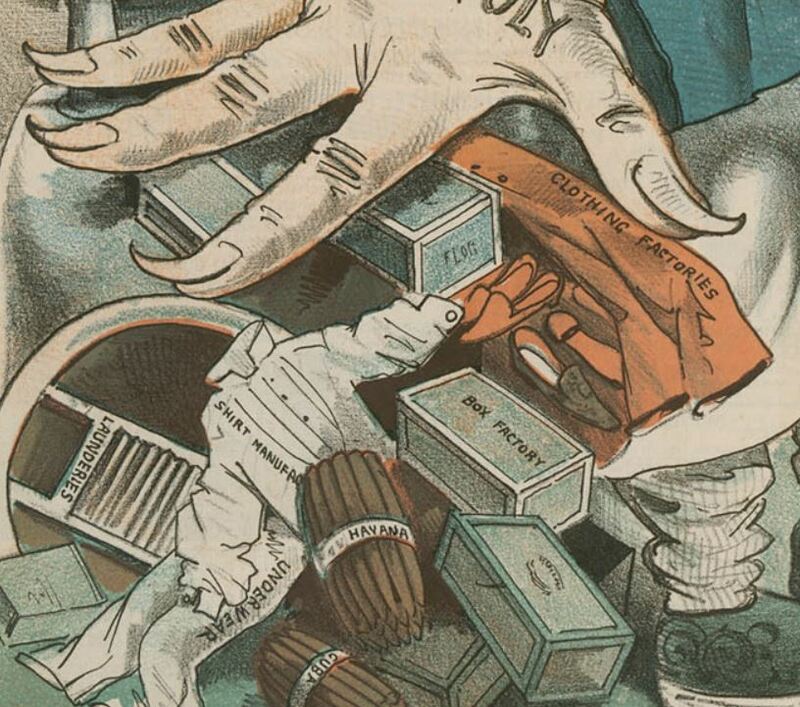 These pressures may have propelled a young Thomas Nast, and others like him, to convert. It may have been in pursuit of love (his intended was Espicopalian), the taint of Irish Catholicism, or from a desire to ascend and better assimilate in New York society. Given Nast’s staunch abolitionist views, it is not unreasonable to assume the American Catholic Church’s position on slavery had a lot to do with his conversion and continued skepticism of Irish Catholics in New York. Nast did not hide his Catholic roots however. At the height of his fame during the Tweed era, Harper’s Weekly introduced their star artist to readers with a brief biography and engraved photo. Nast was described as Catholic, a fact that Harper’s clearly felt bolstered Nast’s integrity and the real purpose of his attacks on the American Catholic Church’s relationship with Tweed and New York City finances. It was the issue at hand, and not the people or faith that Nast attacked. The pro-slavery position of Northeast Catholics during this time is not something that is well known among today’s Catholics. Modern Catholics might find the revelation of their history on this issue in America shocking. Certainly, it is not a part of a history that American Catholics choose to highlight and brag about. Nonetheless it is an ugly part of the American Catholic past that did factor into perceptions of the time. The Democratic Party was on the wrong side of a pressing moral issue. Irish Catholics strengthened the Democratic Party and therefore had a indirect role in blocking the progress for civil rights. Abolition attitudes ran very strong in Republican and Protestant circles, and may have contributed to social and moral pressures for Nast to abandon his ancestral family faith, and view American Catholics – Irish Democrats with increased scrutiny. Nast’s images about Catholicism are brutal, but they erupt from specific issues (public school funding) and the social policies of dominant political figures (Tweed). 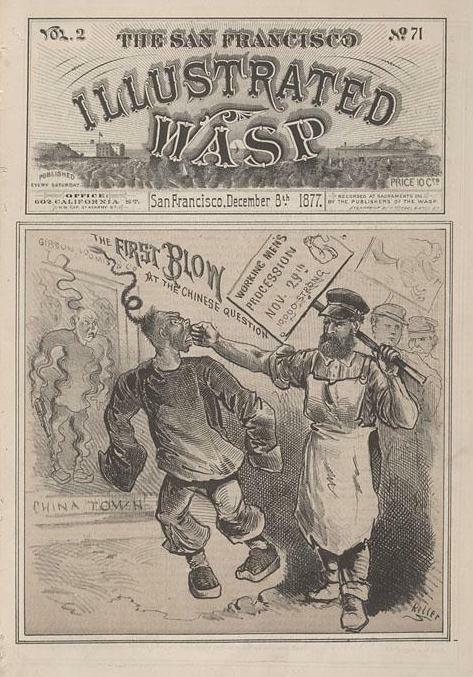 The Irish’s persecution of Chinese Americans likely factored into Nast’s attention and sarcastic scrutiny.